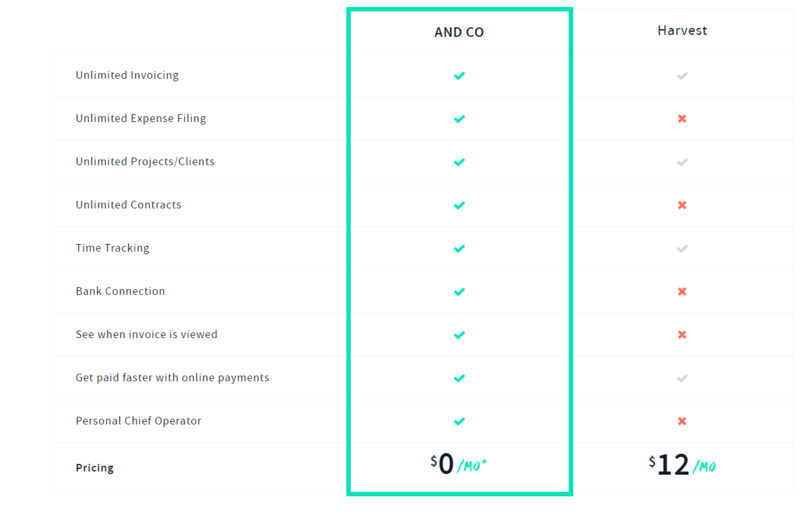 AND CO is your best bet for a software that can help you do it all. It’s not hard to tell where Harvest falls behind - if you are interested in getting the most out of a software that will help your business thrive, the choice is clear. With AND CO you can have your cake and eat it too. Take a look at what AND CO has to offer here.